I first qualified in massage, anatomy and physiology, and aromatherapy in 1990 and continued my studies with the Clare Maxwell-Hudson School of massage learning skills in deep tissue massage and manual lymphatic drainage. Much of my early massage training involved voluntary work in a variety of medical settings for example in a cardiac outpatients department and for the Stroke Association. I have also taught massage and aromatherapy and provided on-site massage for office workers. After completing my training at the Dr Vodder School in Austria, I have focused on using manual lymphatic drainage and the treatment of lymphoedema. I continue to review and update my training and have completed further courses with the Föeldi clinic in Germany. I have worked in a number of clinics and hospitals and for 10 years co-ran a lymphoedema clinic for breast cancer patients at the Cancerkin Centre, Royal Free Hospital, London. 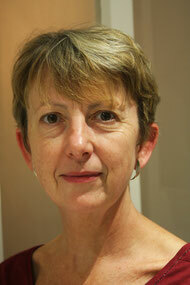 I am a member of MLDuk, the British Lymphology Society and Lymphoedema Support Network.